American medium size buckle with flower and rhinestones, leaves swirl all around. Attach this buckle to one of our belts. All our belts have snap buttons change the buckle easily. 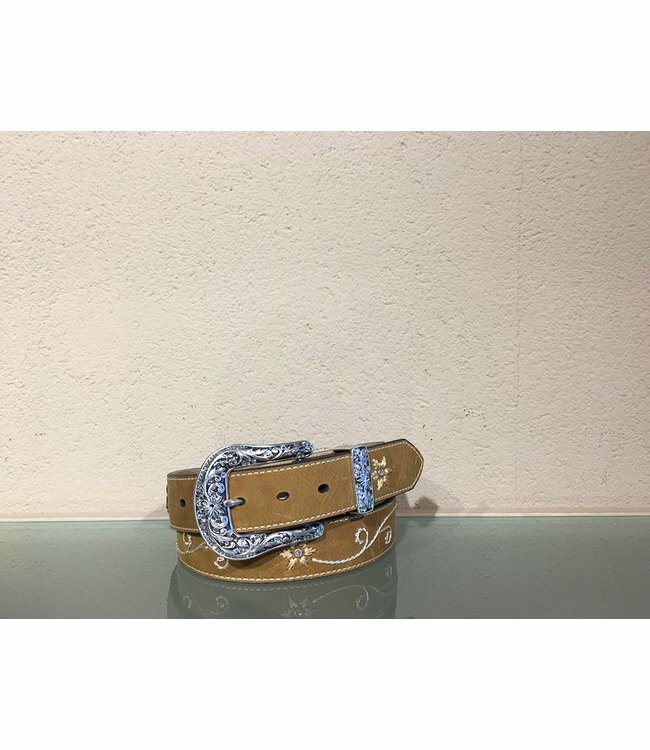 Chose your buckle and shop also for a matching belt! Read more.. 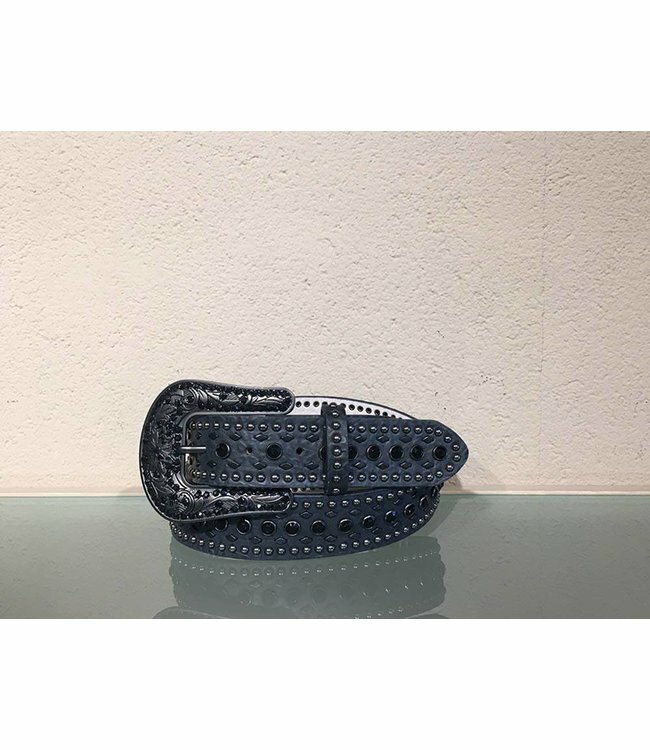 This medium American buckle is decorated with a flower and rhinestones and has leaf patterns around the buckle.The brand logo is on the back of this buckle. The buckle is from the Blazin' Roxy collection from Texas. Place the buckle on one of these belts. 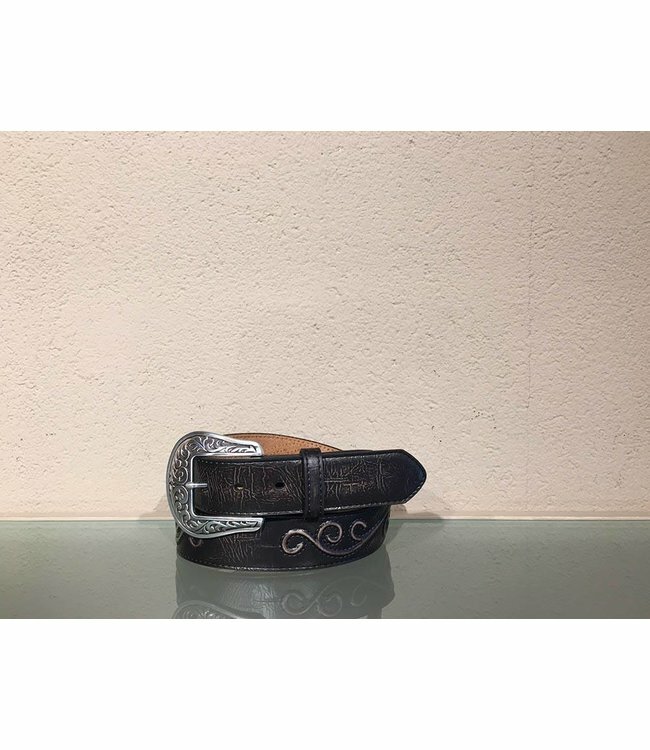 Brown leather belt with concho's and scroll pattern all ove..